As rents have continued to rise and vacancy has dropped, landlords are becoming more bullish on the office market future. 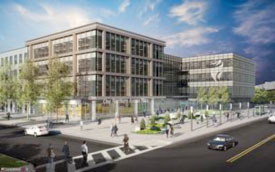 Spec buildings, previously considered a thing of the past due to the high cost of construction (compared to the cost of renovating an existing structure) are reemerging in the Hub’s commercial landscape with a new addition to Boston’s marine industrial park. Details on the spec building are available on the BBJ’s coverage of the new development at Marine Industrial Park. Men’s clothing retailer Jos. A. 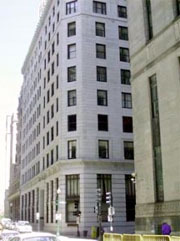 Bank has moved in the retail space on the corner of Franklin Street and Arch Street in Boston’s financial district. According to an article on the Boston Business Journal, the fashion retailer “has signed a 10-year lease for nearly 5,000 square feet at 70 Franklin St. in Boston’s Financial District.” Additional details on the space and terms of the agreement are available on the BBJ. 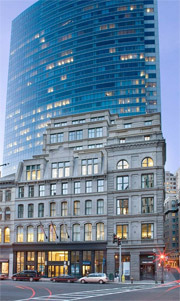 To view available commercial real estate listings in Boston’s financial district, follow this link. 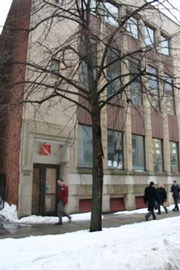 The newly funded venture, Bolt, has found a home at 110 Chauncey Street in Boston’s Financial District. Office and work space in Boston continues to evolve to meet the needs of contemporary companies, with additional consideration given to functional atmospheric elements to complement the core layout. The street scape continues to change with the scheduled demolition of 212 Stuart Street. The Back Bay office vacancy rate is at a record low at just under 5 percent, will the ownership push for office or residential? Jump over to the BBJ online to read the full report. 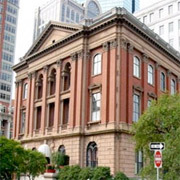 The scaffolding has been taken down and Restoration Hardware is scheduled to open its new Back Bay location next month at 234 Berkley Street. Having vacated 711 Boylston Street a number of years ago, Restoration Hardware is looking to not only sell sheets, towels and hardware, but the Back Bay location also hopes to offer beer and wine as part of their café. To read more about the Back Bay Restoration Hardware’s push for a beer and wine license, continue on to the Boston Business Journal. Alternatively, click through to view available property for lease in the Back Back. 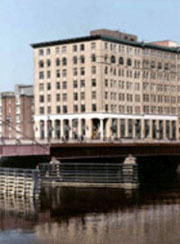 0	Boston Offices Susceptible to Major Flooding? Should you worry about where your next office is located in Boston? Well, I would say no, but a Boston Business Journal editorial provides some real insight into what could happen on an extreme level. The real interesting piece of this is where do groups put data centers. Safe to say data centers are located outside these possible effect areas. For complete details, jump over to Costar.com to read the full report. 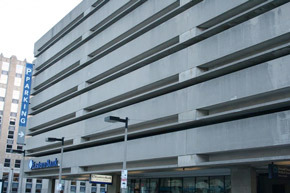 Continue on to our listings page to view available office space for rent in Boston.